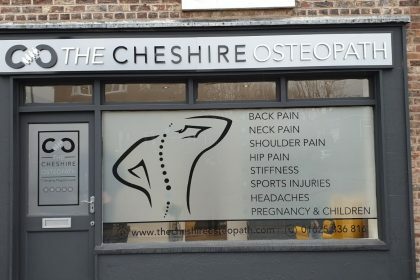 Window graphics are a fantastic way of creating additional advertising when physical space is in short supply, making sure you have an attractive frontage to your business, or building privacy for an overlooked window, or even just simply offering protection from the sun. At Zero Signs our comprehensive window graphics range has options suited to all of these requirements, and are printed using full colour, high-resolution printing. Negative space designed window graphics portray designs where the process involves the image or letters being cut and removed from the vinyl. The leftover vinyl that is stuck to the window is the “negative” space around those designs. Negative space designs are an ideal way to increase privacy while adding creative advertising and branding to a frosted window graphic.